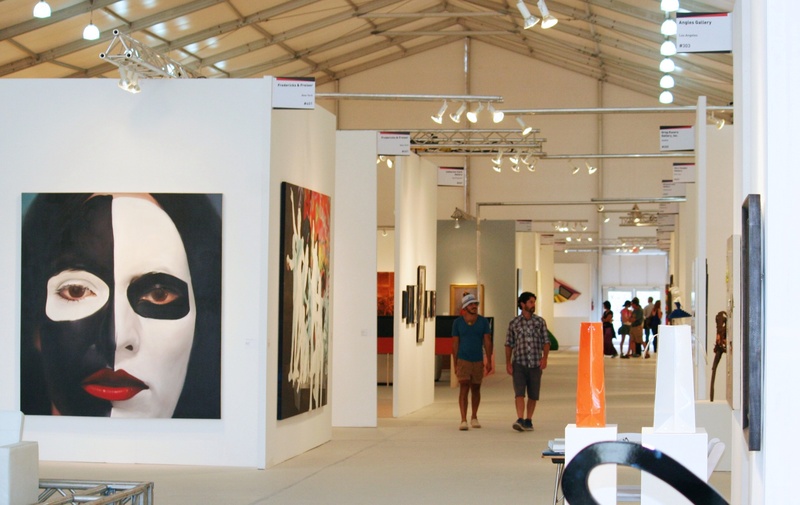 Seventy US galleries with a significant number of 2012 and 2013 dealers and new additions to the fair. Miami Project has once again emerged as a platform for museum quality work presented by dealers who have defined excellence in the art market for decades. Alongside and emerging artists, Miami Project will feature exceptional pieces by modernist masters. First time Miami Project dealer Lennon, Weinberg will show major works on paper by Joan Mitchell. DC Moore Gallery will present historical work by Milton Avery, Romare Bearden, and Charles Burchfield, and Tibor de Nagy will exhibit important work by Jane Freilicher and Fairfield Porter. Bridging modern and contemporary, Catharine Clark Gallery will present a survey of work by Masami Teraoka from 1967 to today, including the debut of the artist’s early minimalist work on paper. Pavel Zoubok Gallery will feature work by two very contemporary artists, with a fresh-from-the-studio Mark Wagner currency collage and new sculpture by Vanessa German. Deborah Butterfield is creating new sculpture, including two full-scale horses welded from found metal, for this year’s Miami Project to be presented in a solo exhibition with the Greg Kucera Gallery.